Hey Mama! 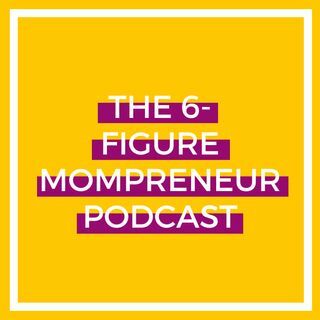 And welcome to episode #115 of The 6-Figure Mompreneur Podcast! I’m so excited for this new shift and direction in the podcast and I hope you are too! To celebrate the new focus, today’s episode revolves around the action behind becoming a 6-figure mompreneur. With every single coach I’ve ever worked with I’ve always wanted to know the action behind their success. What do they do daily that contributes to their success? What habits do they have? What do they actually do in ... See More their business? What does their life look like? All of these things contribute to their success and after years of researching, interviewing, and asking 6-figure mompreneurs about these things, I’ve discovered some commonalities, that are not what I thought I’d find! So in today’s episode I’m sharing with you what I’ve learned over the past 3+ years regarding what it actually takes to create a 6-figure online business. I’m sharing the habits, the focus, and the purpose behind the action that 6-figure earners create in order to chase down the type of success they are striving towards. Here’s the deal, I’m all about paying it forward. If you LOVED today’s episode, if it rocked your world, and you want to pay it forward, please head to Apple Podcasts and subscribe and review the podcast! The more subscriptions and reviews we get, the more likely the podcast will get pushed to more aspiring or established 6-figure mompreneurs, just like you! And if you leave me a review, screen shot it, and email it to me at allison@allisonhardy.com by March 15. When you do that you’ll be entered for a drawing $50 Amazon gift card! Drawing will take place on March 15 at 12:00 pm ET. ALSO, for additional entries share your love of the podcast over on InstaStories and make sure to tag the podcast’s new handle, @6figuremompreneurpodcast! Remember, the deadline is 12:00 pm ET on March 15, 2019. Good luck!